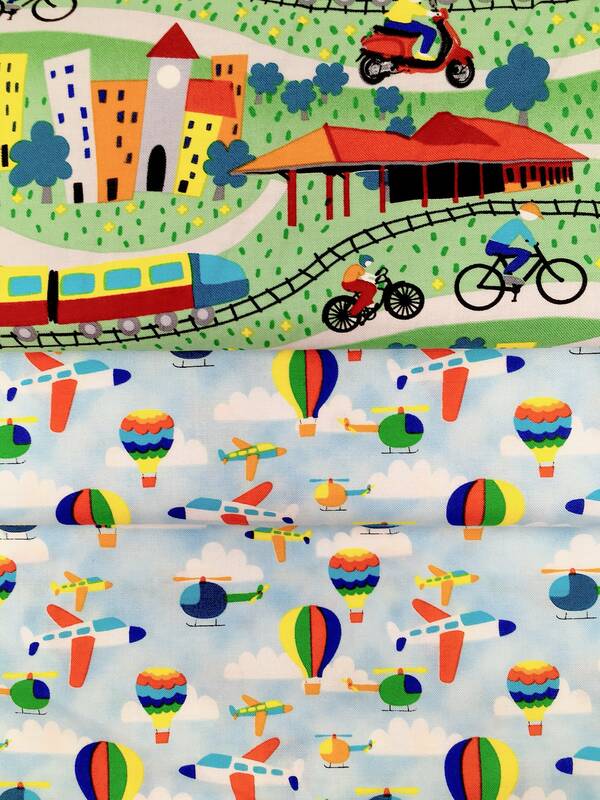 Blank fabric 'travel around the world" premium 100% cotton Transportation print fabric. 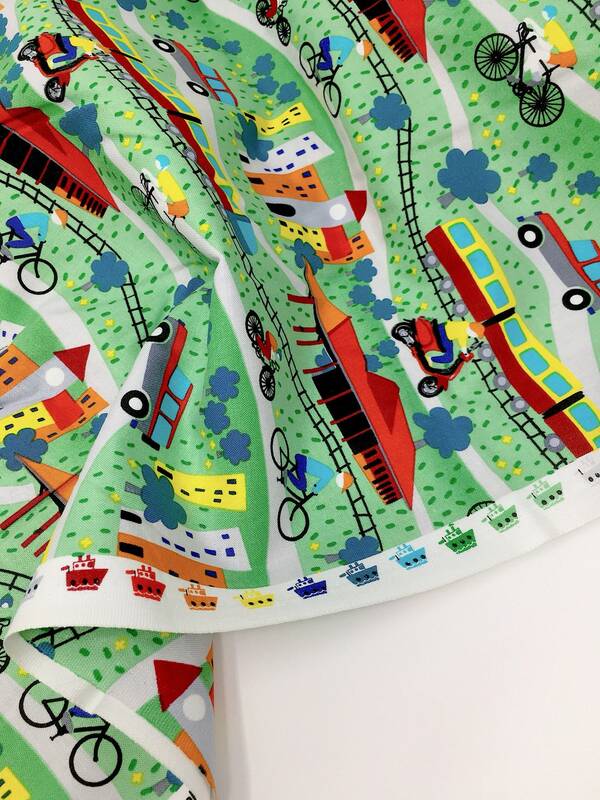 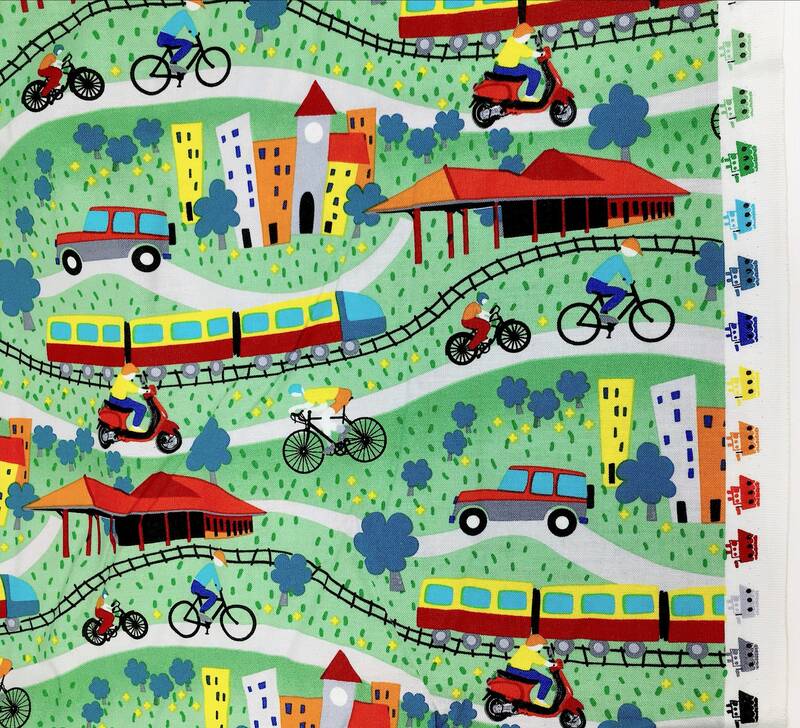 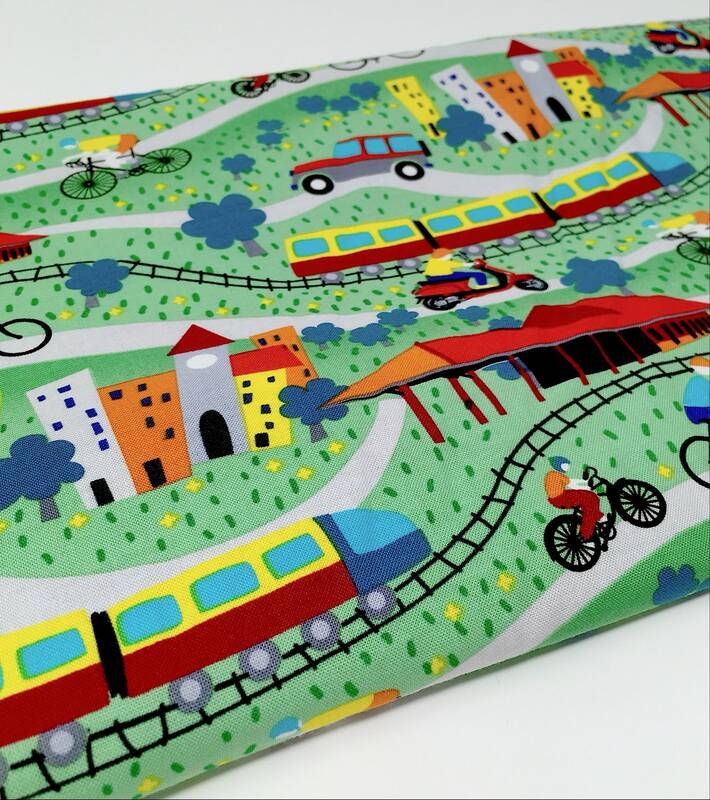 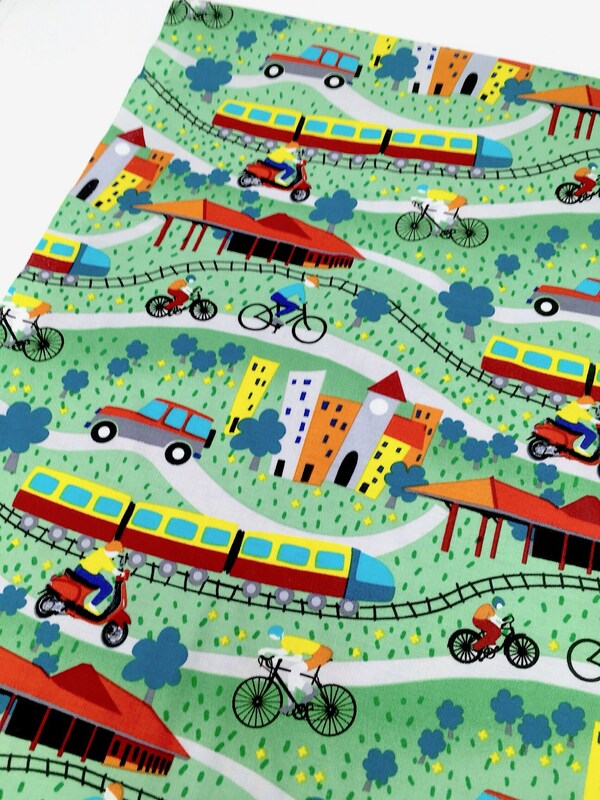 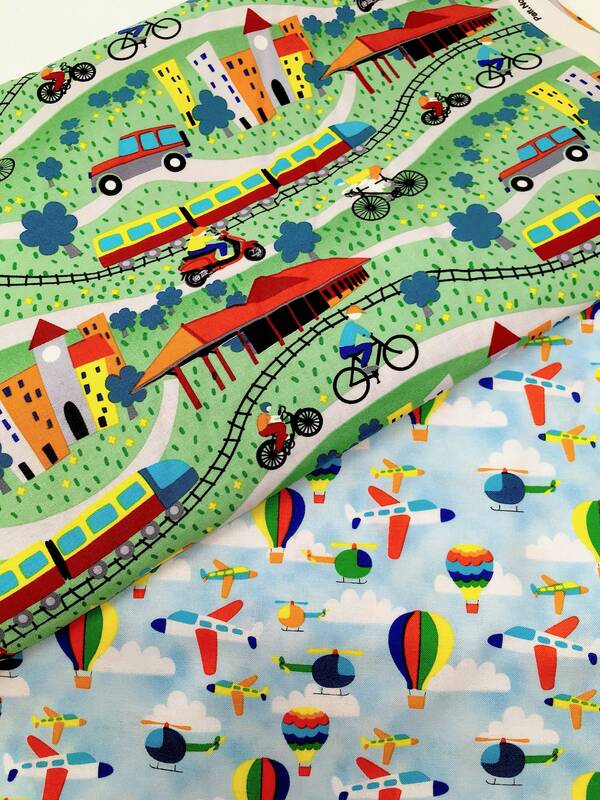 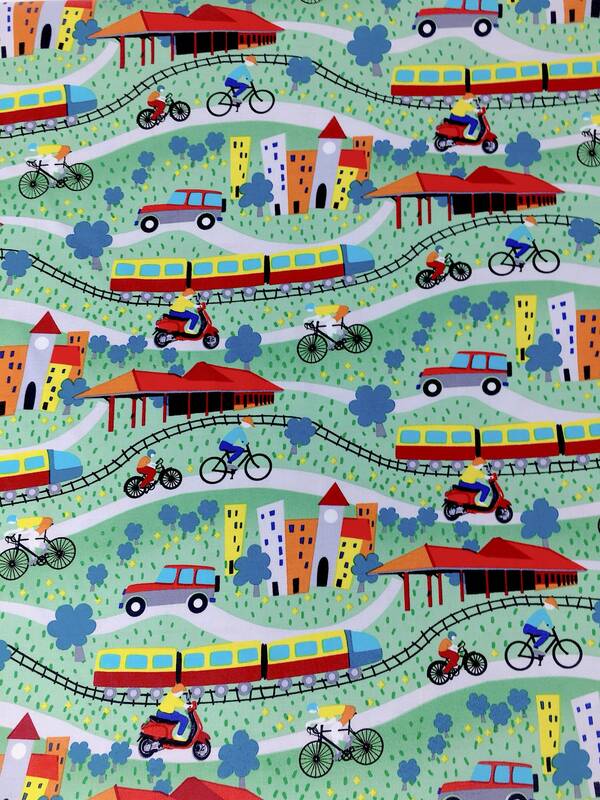 Transport themed fabric with trains, bicycles and cars. 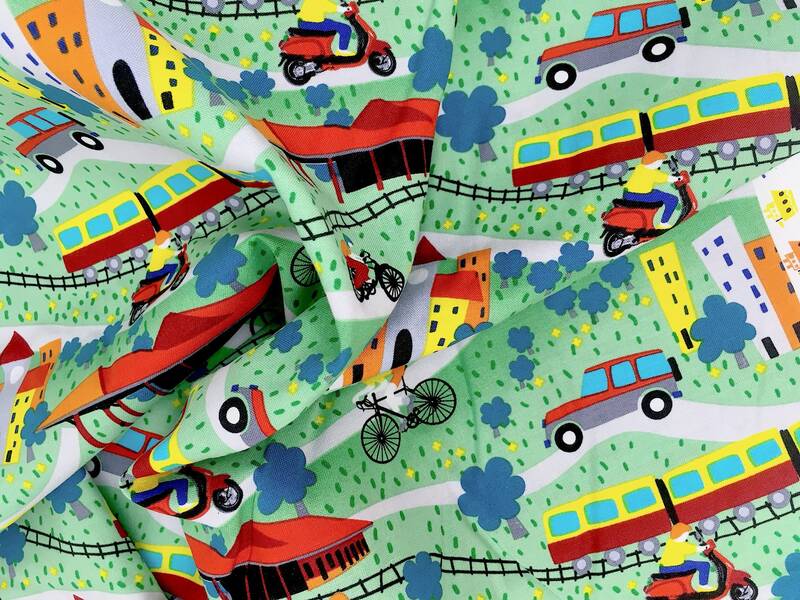 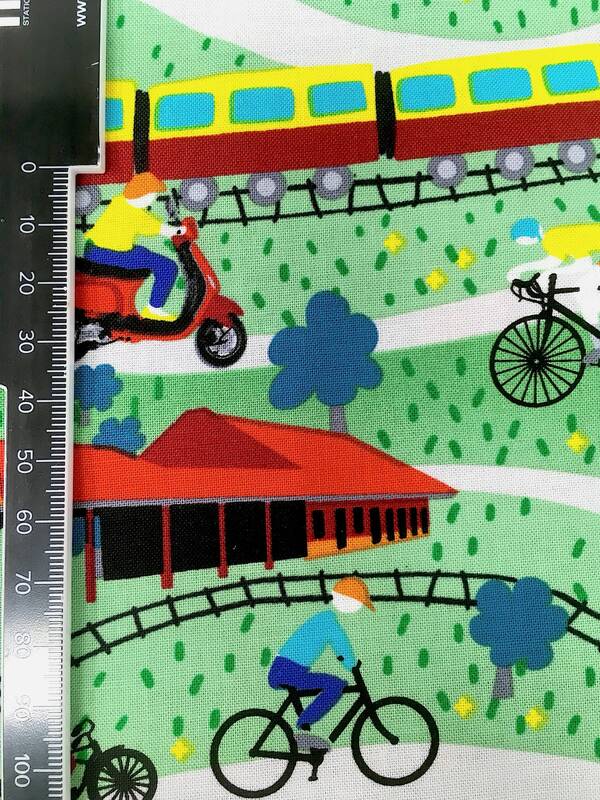 This vibrant car print fabric measures approx 44 inches wide with each scooter measuring approx 35mm tall. 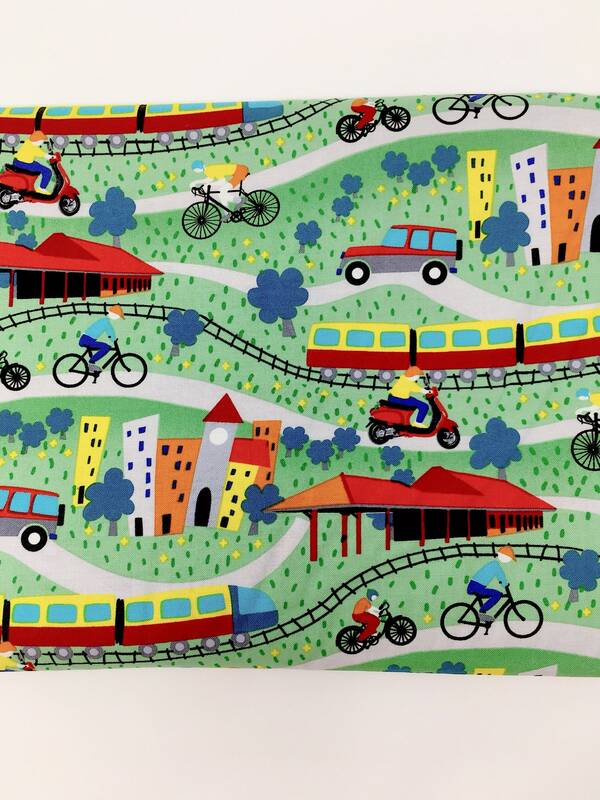 Gorgeous quality... love this fabric.